Spoiler warning: In this post, Santa's identity is discussed. I had another Mario post rolling around in my head, but, seeing as how it's the holiday season and all, I will instead subject you to some schmaltzy, eggnog induced musings. This week's podcast about the often-grim realities of the game industry inspired me to reflect on how my conception of the medium has changed over the years. In my younger, more naive days, games were self-contained entities removed from larger social and economic contexts. I gave very little thought to who made them, how they were marketed, or even how they were designed. I took them for granted, as if games naturally sprung forth from some mystical cartridge tree whose fruit was harvested, packaged, and then shipped to store shelves. Looking back, my childhood view of Christmas was similar to how I viewed games. I was blissfully ignorant of the stress that comes with manufacturing holiday cheer. Our family was fortunate enough to have the means to enjoy a festive tree and delicious food. Santa could always be counted on to inexplicably drop off a game or two that I had been coveting. Things seemed to fall into place as if guided by the hidden holly-jolly hand of the season. Those days are long since past: I know now that magic, both the holiday and gaming variety, is not the product of mystical forces but rather the outcome of hard work undertaken by determined people. While it was nice to live in a fantasy world in which a North Pole-dwelling demigod traded games for cookies, understanding how how things actually worked gave me a better appreciation of the holidays. Similarly, peeking behind the curtain of a game reveals a kind of practical magic that makes them special. One of the dangers of critically analyzing video games is creating overly clinical gaming experiences. Personally, playing games was a more whimsical activity before I started noticing quirks in AI paths, gameplay exploits, and plot holes. 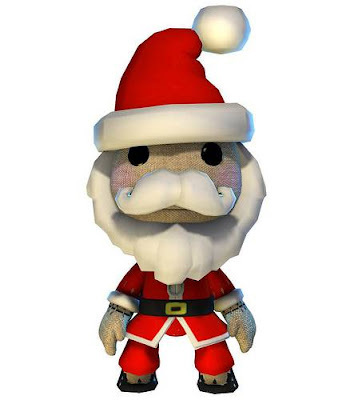 Just as discovering that Santa's real identity made the initially made the world a more ordinary place, running into an invisible wall in Super Mario 64 made video games more mundane experiences in some respects. Thankfully, time and experience ameliorates the shock of dissipated illusions. Naive wonder is replaced with admiration for those who labor to construct opportunities to indulge in fantasy, however briefly. The land of Hyrule is not the result of an ancient race of triangle-worshiping fairies and elves, but rather the culmination of decades of largely unnoticed human effort. Knowing that its serene landscapes, odd inhabitants, and mischievous creatures were actually birthed in our world makes their novelty all the more stunning. It also makes it easier to forgive flaws, or even accept them as reminders of the game's hand-crafted origins. Intellectually, I know that that Nathan Drake is an amalgamation of writers, artists, actors, and producers. Even so, the imposture is so convincing that I find myself thinking of him as a real person. 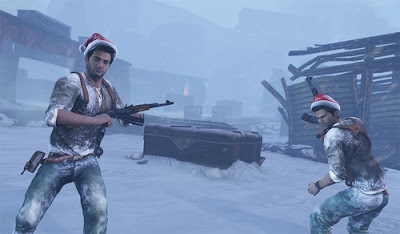 In return for a small suspension of disbelief, the designers help the player hold two contradictory thoughts in their head: Nathan Drake is both an illusion and a reality. Working on this website has crystallized this concept. These days, it is almost impossible to turn off the little critic in my mind who is constantly commenting on a game's design, message, or release circumstances. Because this part of me is so focused on the reality, it serves to better contrast with the virtual-realities games present. Games present me with a single object that inspires both sides of my brain to reach the same conclusion, albeit via differing means. My aesthetic sensibilities say that games are magic because they show me things that exist beyond the world I live in; my analytical sensibilities decides that games might as well be magic, since the confluence of events that takes place in order to create them is complex to the point of being miraculous. Let me close by explicitly thanking all the people that make this possible. While it may not change the fact that you went unrecognized, unpaid, or unappreciated on a project, know that your efforts are appreciated. You might not wear a red suit or own enchanted reindeer. You might actually feel more like an elf, toiling away in obscurity while some fat guy gets all the credit. Regardless, know that what you do makes a difference. Magic just doesn't happen; it exists because people create it. Much of the "gaming industry" is still a mistery to me, but I think I understand that feeling of dissecting a videogame. I hope some people involved in the game making process get to read this post. Also, happy holidays to you guys =). Happy holidays to you too! As always, thanks for stopping by.